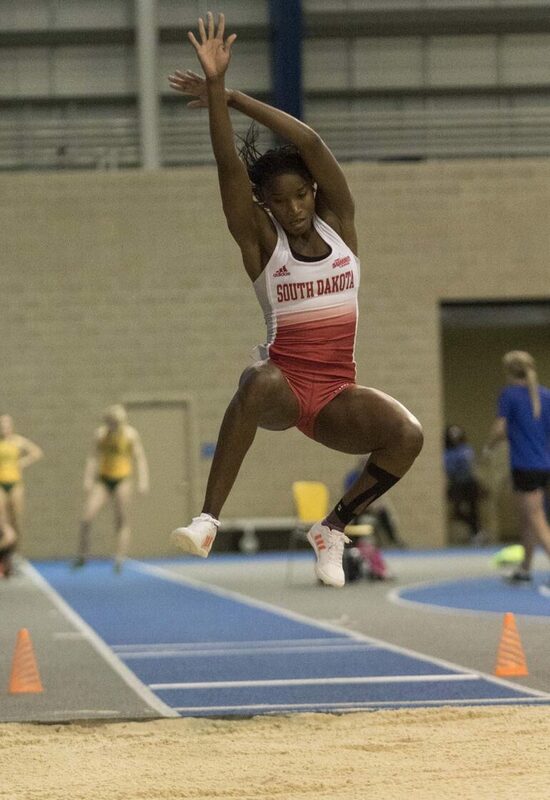 With the addition of one of the biggest recruitment classes to date, the Coyotes look to defend several individual titles and send as many athletes as possible to the NCAA tournaments as they start the indoor track and field season. They kicked the season off in Iowa on Jan. 13 where the team had several top five finishes and five first place finishes. Lucky Huber, head coach of women’s track and field, said the meet was a good starting point. “After Christmas it’s kind of a testing ground to see where people are at,” Huber said. Last season, the Coyotes sent pole vaulters Emily Grove and Chris Nilsen and shot putter Danielle Waldner to the outdoor NCAA championships. Nilsen and jumper Samara Spencer made their debuts at the indoor NCAA championships, where Nilsen claimed the national title. This season Nilsen and Spencer return as experienced sophomores, while both Grove and Waldner, now USD graduates, join the coaching staff as volunteers. Junior thrower Ben Hammer returns for his second season with the Coyotes. This year he said he’s focused on improving his distances and helping his teammates improve. Hammer placed sixth in shot put at the indoor Summit League Championships with a throw of 53 feet 3 ¾ inches. He also won the discus event at Howard Wood Dakota Relays with a toss of 174 feet 6 inches. Senior Jay Cooper begins his final season with the Coyotes. Last season, he claimed Summit League victories as a hurdler in the 100, and 400 meter distances. Cooper said he wants to end his college career on a high note. Huber said he’s expecting a good season. The Coyotes have a full schedule ahead of them. They face many highly competitive teams, such as University of Minnesota and University of Texas. With a team of over 100 athletes, the Coyotes are in a good position for victories, Huber said. With such a large team, Ireland is hoping to close out her collegiate career with a conference title win.